These appetizer boards are great for cheese and crackers or serving up that special dish. The boards feature a stainless nautical cleat, rounded corners and elegant, recessed juice groove, and our signature maple and mahogany design. 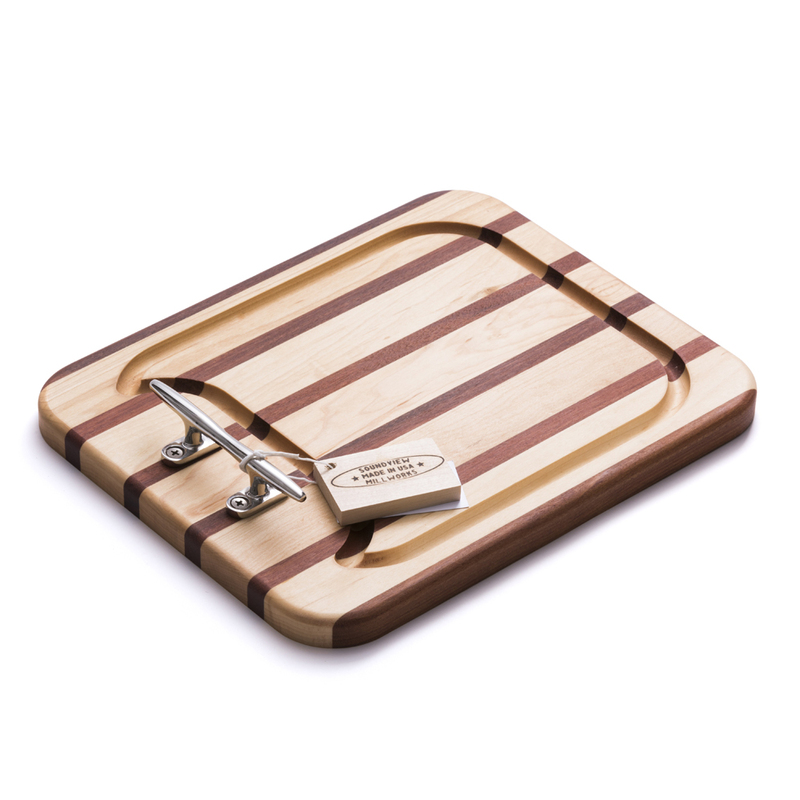 This cutting board has the Hinckley Talaria Logo engraved in the center. 13" x 10.5" x .75"